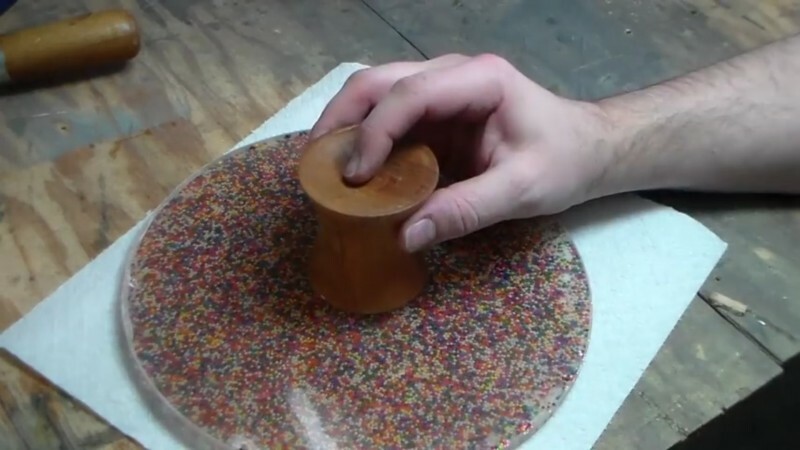 He pours sprinkles into a mass of glue. What he turns it into? I have to have it in my kitchen! Cake aces know this problem: you slave for hours in the kitchen to create a breathtaking, visually stunning cake opus. But in the end, no serving dish, plate, or platter is sufficient to properly present the work of art. 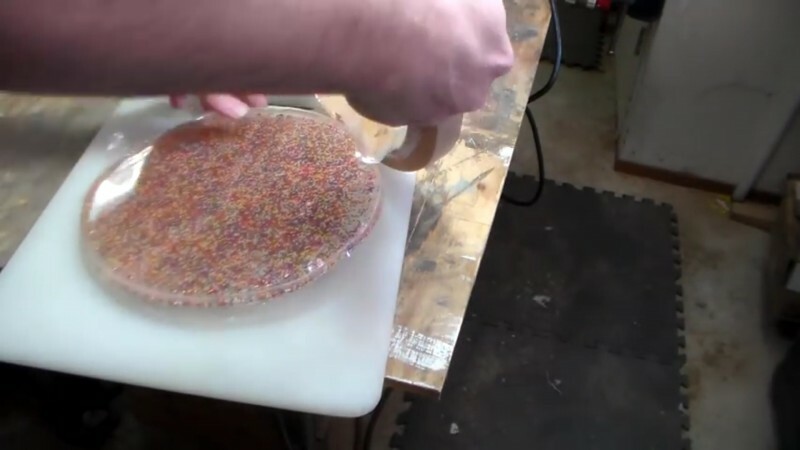 To avoid this mess in the future, you're going to learn today how, with a bit of patience and dexterity, you can produce a spectacular cake plate. It's ideal if you use a worn out springform. It definitely has to have a flat bottom. Take the springform apart and cover the bottom with some cling wrap. Do the same with the rim. To prevent leakage later, glue the wrap together so it doesn't run out. 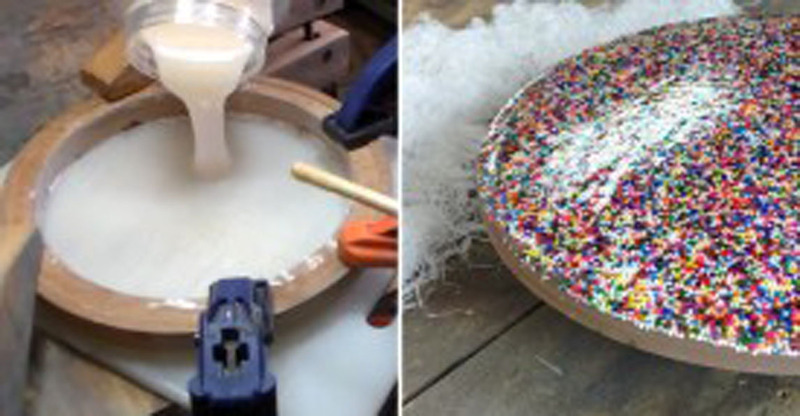 Mix the cast resin - follow the instructions carefully! Air it out well. 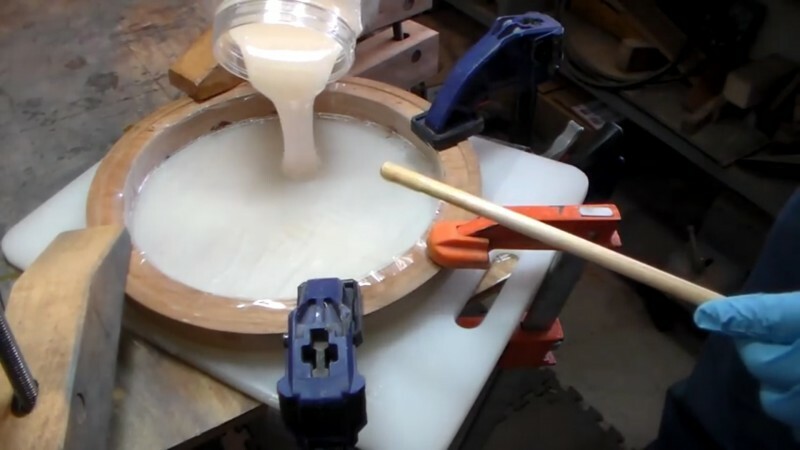 And pour the mixture into the springform. 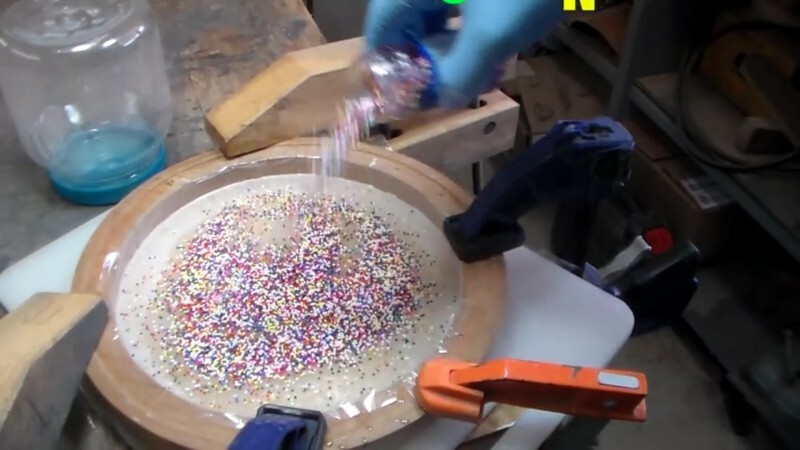 Toss some sprinkles evenly into the wet mass. You can freestyle it, try is much as you want. Spread them out around the edge. 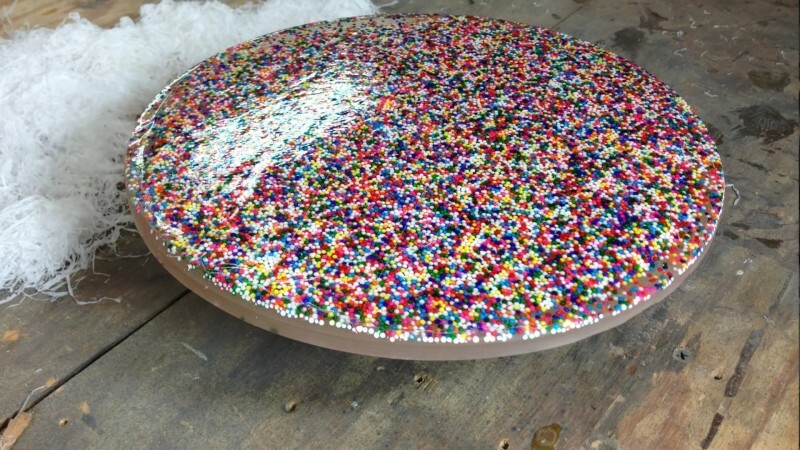 The sprinkles will migrate their way down to the bottom of the form and make some air bubbles on the way. To get rid of them, give the whole thing a good workover with the hair dryer. When you are done, let it dry for at least 24 hours, near some good ventilation. Now you can take it out of the form and remove the rest of the cling wrap. 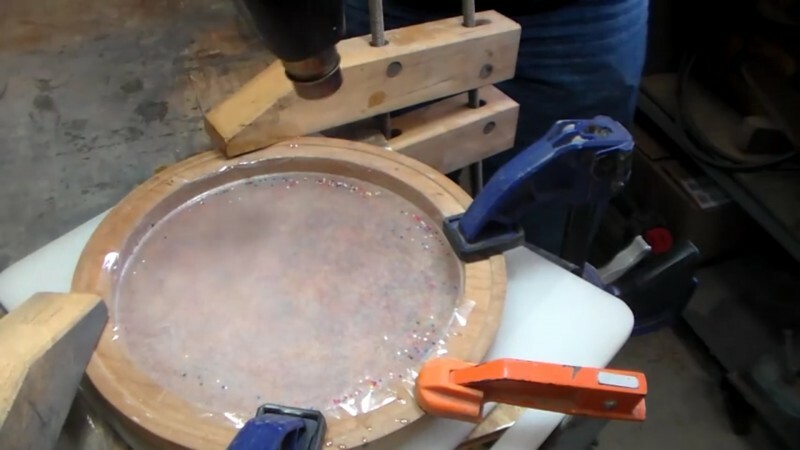 If the edge is uneven, you can sand it smooth with some sandpaper. 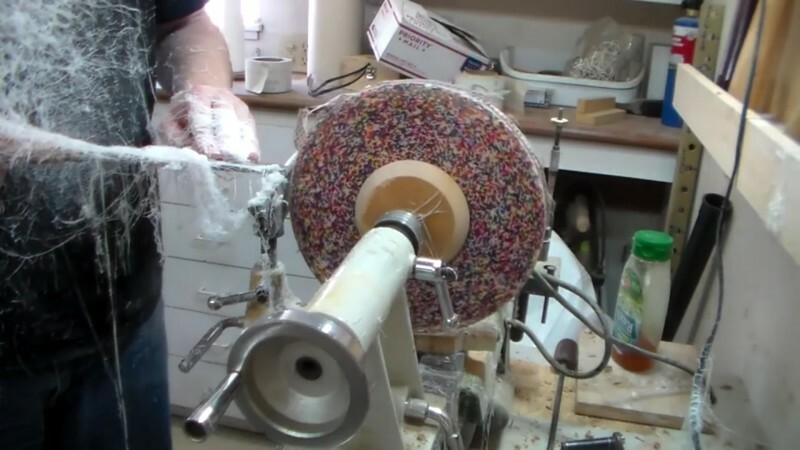 Here they do it with a lathe. These super-sweet cake plate only needs a stand. 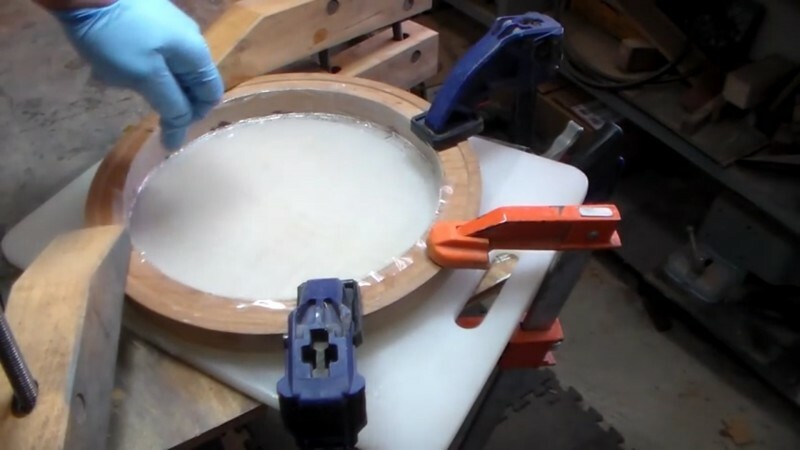 Chose a block of wood with a wide diameter, so that it's stable. Then attach with the super glue. Your homemade cake plate is finished and you've guaranteed yourself quite the wide eyes at the next birthday party. Admittedly: the production takes awhile and it's not for the idle of heart. But, the work is worth it and you can astound all your food lover buddies. But careful! A bite into this super-sweet plate could be very painful! If you also enjoyed this wonderful trick to make your cake's that much more presentable then SHARE it with all your friends!